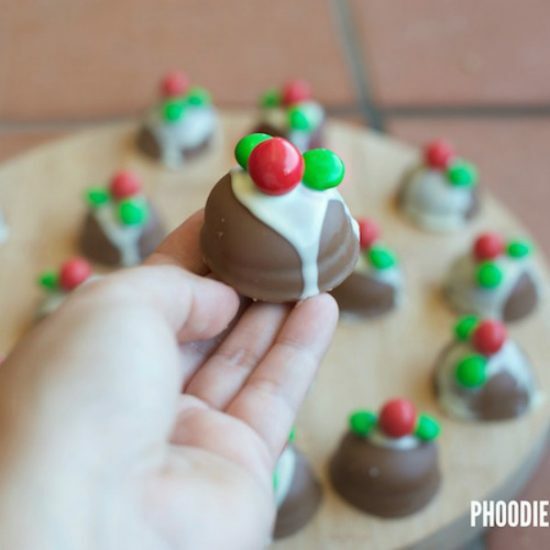 We’ve rounded up the best and cheeriest recipes straight from Phoodie’s kitchen, and they’re perfect for all your holiday entertaining! Check out this collection of perfection now. 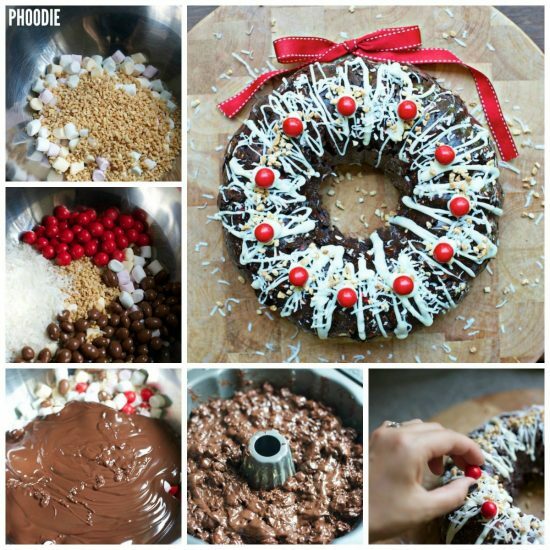 When it comes to holiday baking, or any baking really, Phoodie knows how to put together a great treat! Her holiday recipes are legendary and they’re so fun and festive too. 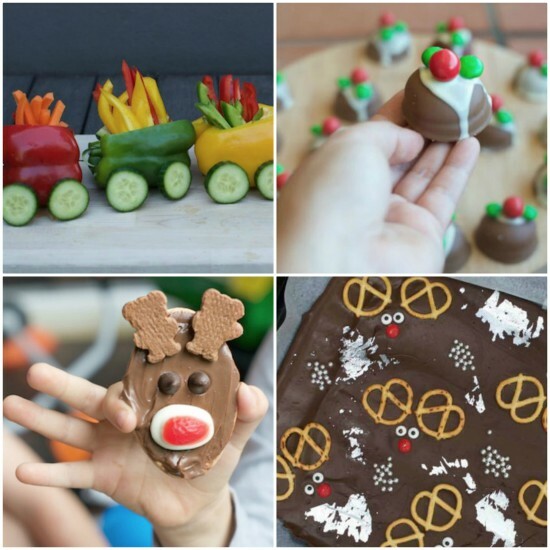 We’ve included her best recipes: Mini Christmas Puddings, White Chocolate Rocky Road, Reindeer Bark, Hummus Train and her Reindeer Biscuits to name a few. 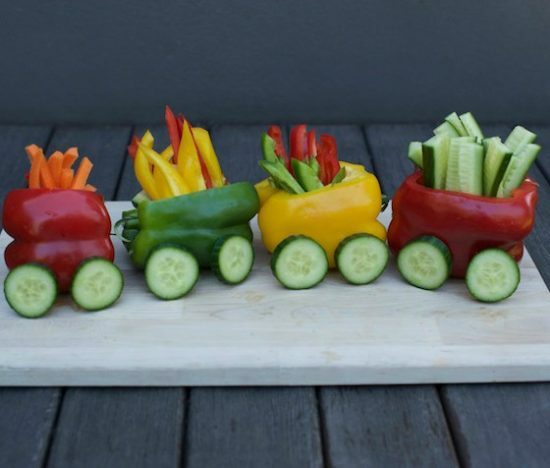 These recipes are all simple to make, fun to look at and fun to eat! They use ingredients you can find in any grocery store, and we promise everyone will love the outcomes! 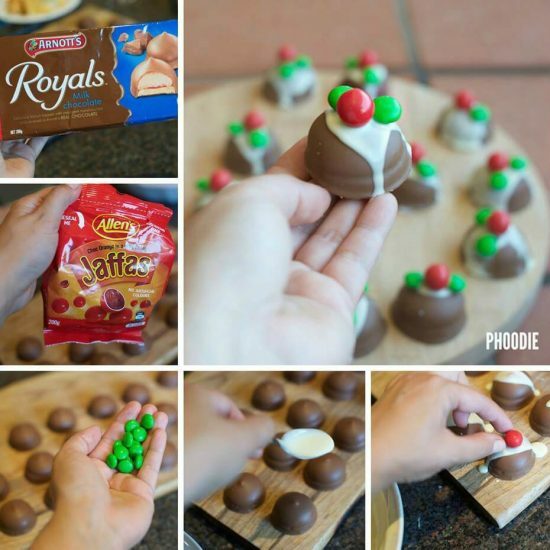 We just love how Christmasy these Mini Christmas Puddings look all set out on a holiday tray. 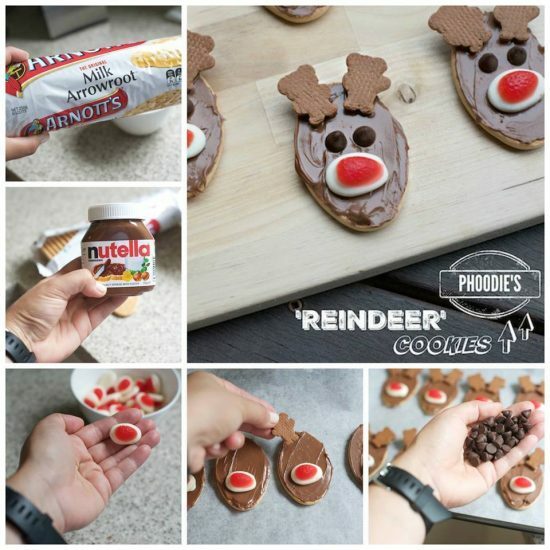 Made with premade Marshmallow chocolate cookies, they’re really simple to put together too! These have been a huge smash and they couldn’t be easier or cuter! So for example, to make 12 biscuits, simply multiply the above by 12. 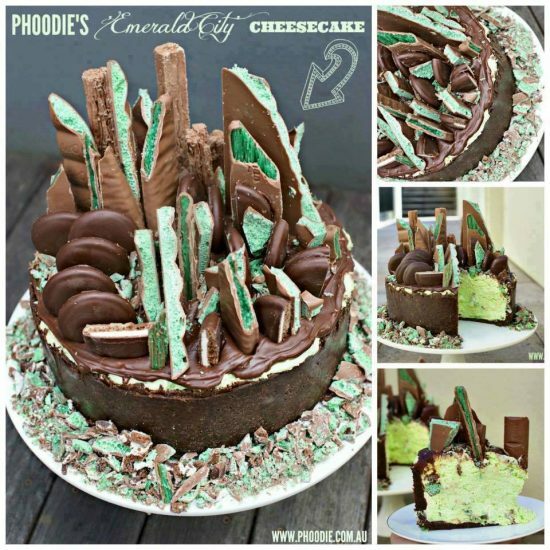 To get the full recipe, head over to Phoodie’s blog here. 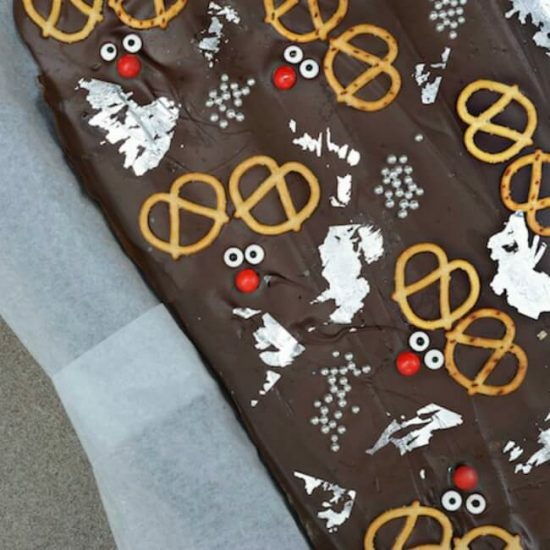 Not only is this delicious bark made with all sorts of holiday goodies, but it’s also pretty darn cute looking too! Use dark chocolate as in the recipe, or substitute milk chocolate if you prefer. 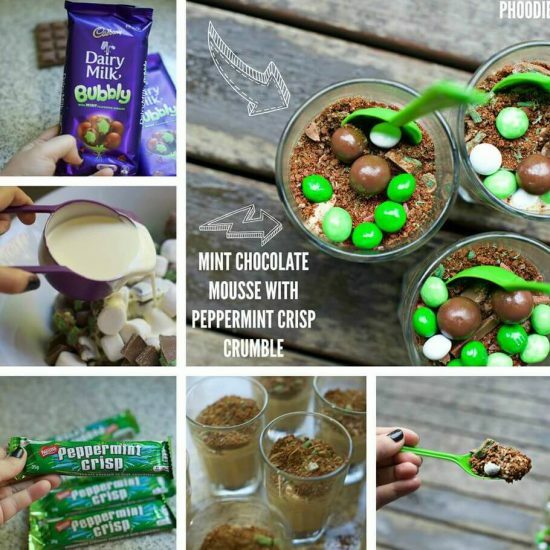 You can get the full recipe in this post on Phoodie’s blog. 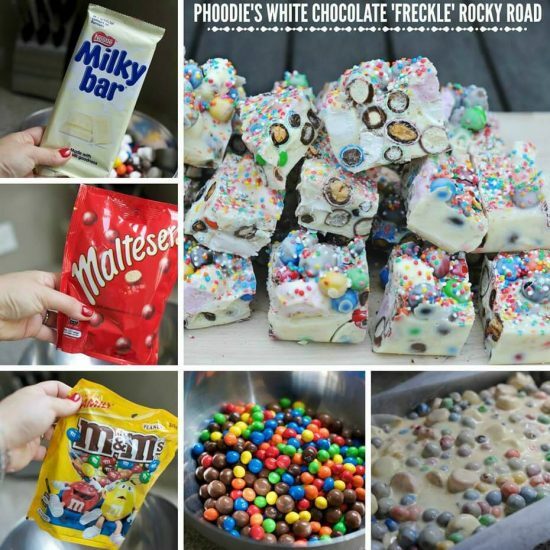 If you love white chocolate, then you’re in for a treat! 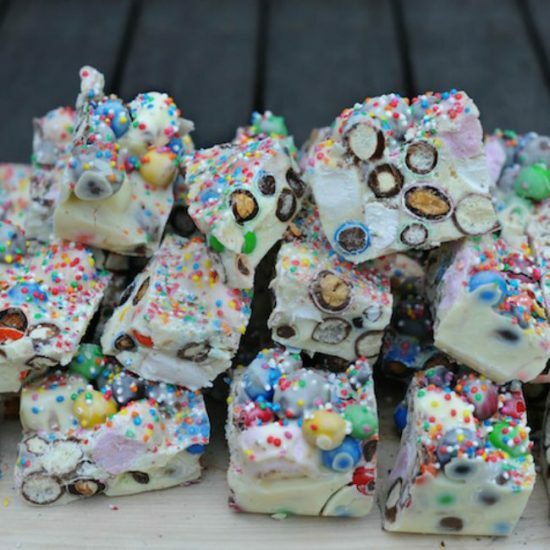 This White Chocolate Rocky Road is full of two types of M&M’s, Maltesers, marshmallows and all sorts of good stuff. You could, of course, choose to make it with milk chocolate as well, but we love the snowy-white look of the white chocolate for the holidays! 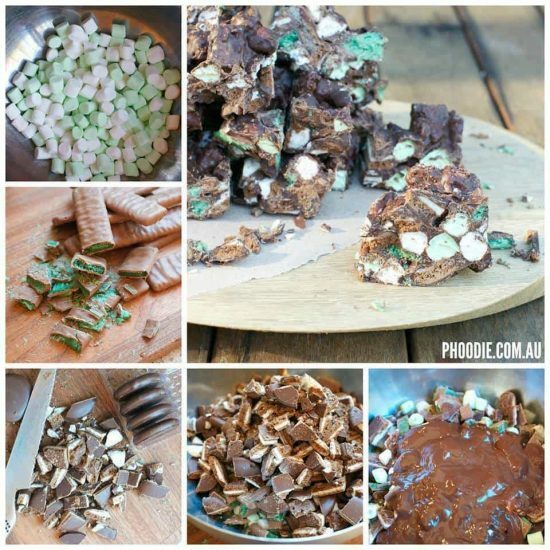 To get the full recipe, head over here to Phoodie’s post. 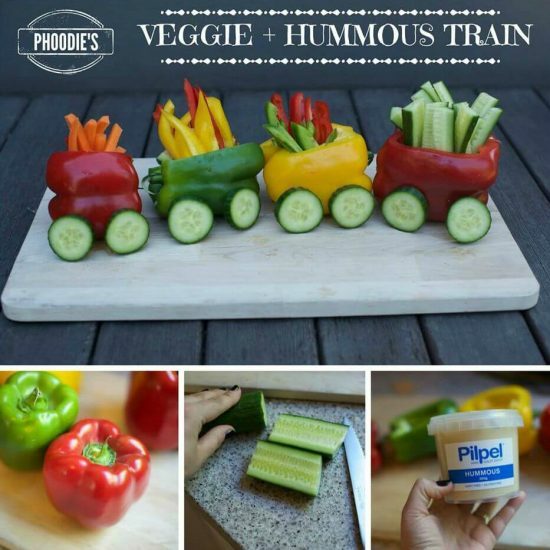 This holiday Hummus Train is so fun to make and the kids will absolutely love it! Not only is it simple to make, but it can be filled with your favorite dips and vegetables. You can cut little windows out the side if you want to really get creative, and you can even place it on a little track if you’d like. To get the full details of this recipe, see Phoodie’s post here. 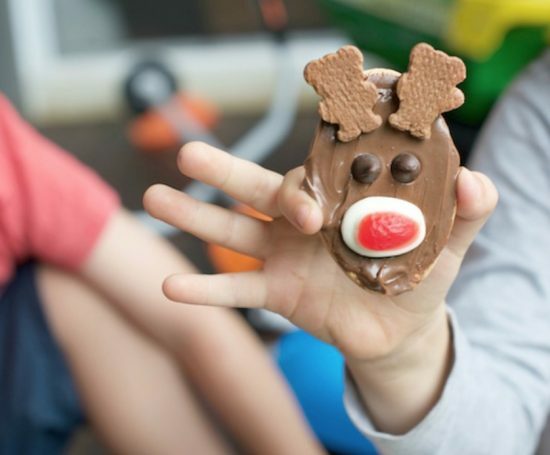 Everyone is going to love these adorable Reindeer Cookies and they are almost too cute to eat! 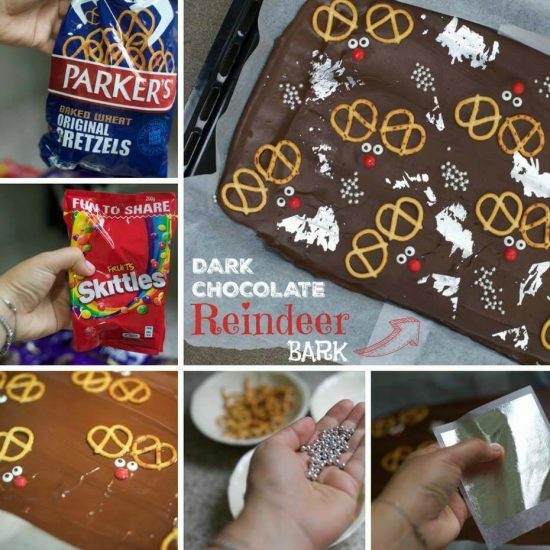 Below is what you will need per ‘reindeer’, simply multiply it by the numbver of bikkies you want to make!